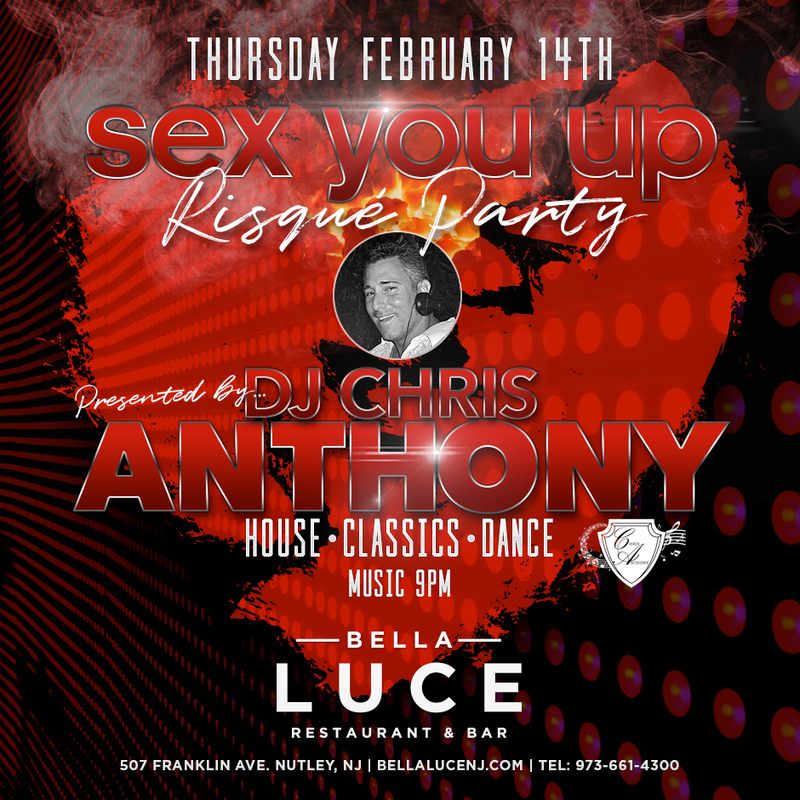 Don’t miss the hottest Thursday party in Northern NJ on Valentine’s Day, February 14th! Local favorite, DJ Chris Anthony spins the hottest tracks all night. A DJ at many of the Jersey Shore’s biggest clubs, DJ Chris Anthony spins the hottest house, classics, dance, and freestyle tracks. Music starts 9pm.